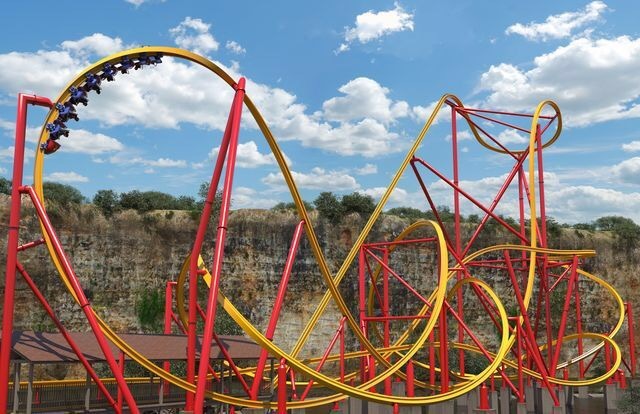 Just when we thought the first single-rail Raptor coaster was heading to a Cedar Fair park, Six Flags Fiesta Texas announced today that they would be the first to build the new prototype, which will open in 2018! All pictures courtesy of Six Flags Entertainment Corp. 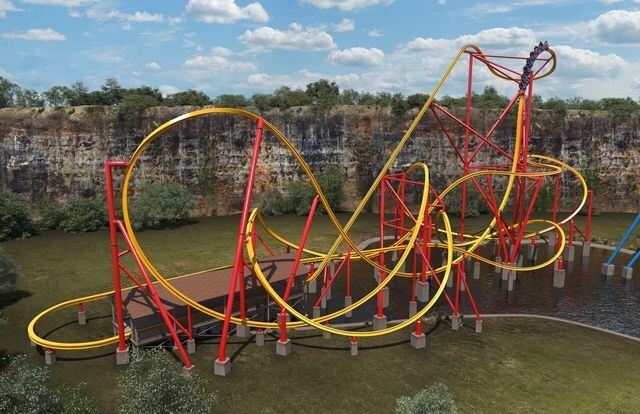 The Wonder Woman Golden Lasso Coaster will be an all new, “first of its kind experience” that has never before been seen at a theme park. It’s uniqueness comes from its 15.5 inch, single rail track, manufactured by the critically acclaimed company, Rocky Mountain Construction. Not too many stats were released about the coaster, but we do know it will have a height of 113 feet, and a 100 ft. drop at a 90° angle. It will also feature 3 inversions, with one being a stunning 180 degree stall. All of these elements will take place on just a single rail, giving riders a unique experience unlike any coaster on the planet. 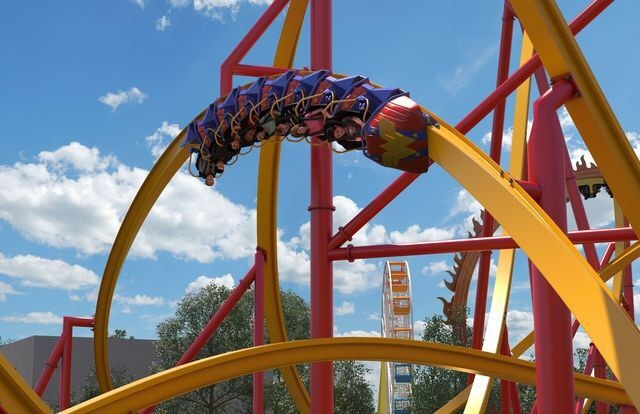 The ride will be themed to Wonder Woman, most likely due to the success of the recent movie of the same name. 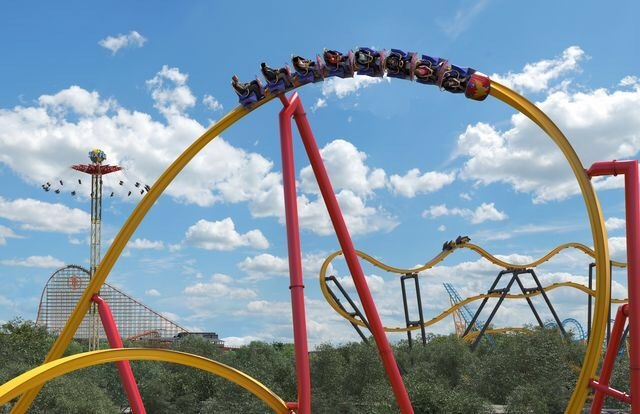 Six Flags has stated that the queue will feature theming related to the DC character, such as a crashed airplane and Greco-Greek architecture. The biggest, and perhaps only concern about the coaster is its capacity. As seen in the picture above, the coaster’s train will only seat 8 riders. 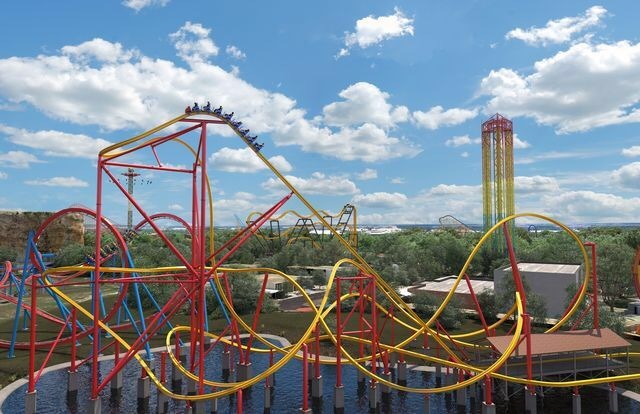 Six Flags has stated that they will be running 3 trains on the ride, which will hopefully help decrease wait times. Six Flags Vice President Larry Chickola expressed his excitement for the new coaster, and expects it to be “crazy smooth and crazy fun”. 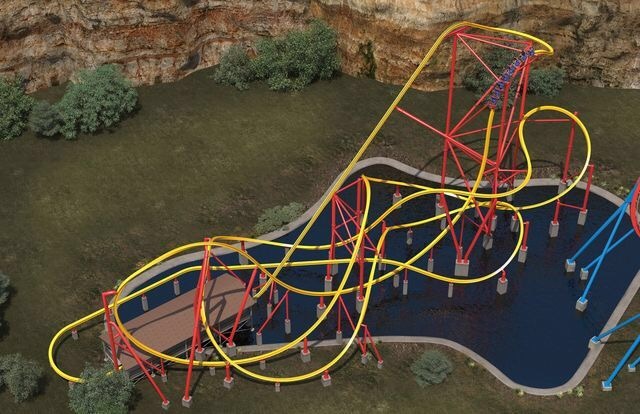 This will most likely be the case, as RMC is known for delivering incredibly smooth, thrilling coasters. It is uncertain when the exact opening date will be, although it is speculated that the coaster will be ready for Spring 2018. No matter when it opens, it is sure to be a hit with guests at the park, and an important milestone in roller coaster history. Want to stay up to date with our latest theme park news, trip reports, reviews, and more? Be sure to follow us on here, Twitter, and Instagram @Limitless_Park!